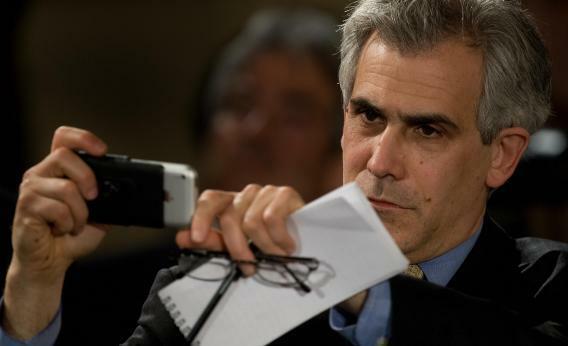 What Did David Corn Know, and When Did He Know It? Today’s conservative pushback on the Romney tapes has two prongs—two smoking guns. The first, a 1998 tape of Barack Obama talking about redistribution, has already been laughed away by my colleague Matthew Yglesias. The second is about the “full video” of the Romney comments, released by Mother Jones in two chunks yesterday. That controversy’s explained here by Breitbart.com’s Joel Pollak. According to the source, the recording device inadvertently turned off. The source noticed this quickly and turned it back one [sic]. The source estimates that one to two minutes, maybe less, of recording was missed. Corn was forced to update his original post, which promised the “full” video, to reflect the fact that a key portion of the video is, in fact, missing. There is no way to know, without the missing footage, exactly what Romney said. On Monday evening, Romney called for a complete video of his remarks to be released. But manipulation by whom? Allow me to switch this from an exciting media bias debate to a boring question about sources. The question becomes: Why trust David Corn’s word, and not trust the word of the conservative sting artists who never, ever get respect from the media? What’s the difference between this and—let’s pick an example I covered—James O’Keefe’s sting of NPR? The NPR sting of 2011 was conducted by two men working with O’Keefe’s Project Veritas. (They’ve since fallen out with him.) They recorded the video themselves. Project Veritas produced an edited version – with narration and more reporting—and released that. Simultaneously, they released a full video of the sting. In the edited video, the sting target, an NPR executive, gets a sentence that starts with “… think the current Republican party is not really the Republican Party.” The full video, however revealed that the executive was referring to what other people thought: “A very highly placed Republican—another person, who was one of the top donors to the Republican party.” The really damaging quote that ended the guy’s career was 1) his paraphrase of someone else and 2) egged on by the undercover reporter. The “Anne Anonymous” tape cuts out here. The source claims that there was a problem with the camera and one or two minutes were lost. When it picks back up, Romney’s answering a question about China. Is there something in the missing portion that makes Romney sound more genteel than he did in the other portion? Possibly, even though the attack on Romney isn’t even focusing on the ramble at the end. Is Mother Jones at fault? At most, in the flurry of media attention that they’ve received over the tapes, the magazine oversold the “tape of everything we got” as the “complete tape,” and there’s a difference. That’s probably enough to get a good, base-rallying campaign against Media Bias underway. *Edited this section to tweak the history of the video’s provenance.